A friend suggested that instead of going back to Fontana in Clark, Pampanga for our annual summer outing, why not go somewhere closer to all of us. Taal Vista was our first choice but since we were a big group, getting rooms that can accommodate us on a summer weekend seemed like an impossible task. 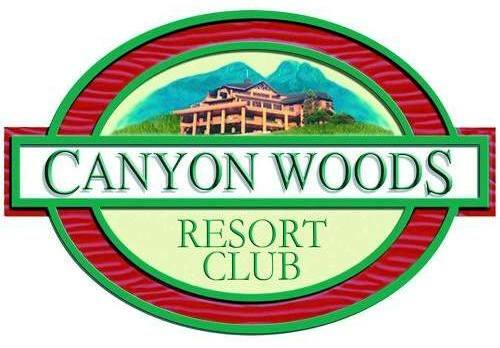 After searching for the available hotels on our preferred date, we all agreed to check out Canyon Woods Resort Club, which is located in Laurel, Batangas. As anticipated, traffic in Tagaytay is getting worse by the day so instead of the usual 2-hour road trip, travel time now usually takes 3 hours or even 4 on really bad days. Check-in was fast and as soon as we got the key cards, all 15 of us took the elevator to our respective rooms at The Peak, the condotel that you can rent out from Canyon Woods unit owners. Other facilities that guests can enjoy include the use of the swimming pools, fitness gym, tennis court, basketball court, fun center, mini theater and golf course for an additional fee. The Peak has a total of 167 units available for non-members of the club. Types of rooms that you can lease include a studio suite, one-bedroom suite or the penthouse that offers a panoramic view of Taal Lake, depending on your budget and requirement. Our junior suite has 2 double beds, an air conditioning unit, cable TV, refrigerator and toilet and bath. The room was clean, old but well kept and has working hot shower, my condition if we're staying in any Tagaytay or nearby hotel. Even if the resort is positioned on higher ground, the hot weather was still commanding for a dip in the pool. All ladies are required to wear swim caps that you can also rent at the resort for Php50.00 for the day. Likewise, the kids had a blast at the playground right beside the swimming pool. Because of its proximity to Manila, Tagaytay has been a favorite destination for people from the Metro and neighboring towns. As a result, hotels and results are always full especially on weekends. We were all relieved and happy stumbling upon Canyon Woods, though technically is still part of Batangas, is just a short drive from Tagaytay City. No honking cars to wake you in the middle of the night, no parking problems and no fighting for space at the pools, only calmness and order. Just the occasional snoring of my nephew sleeping on the bed next to mine.